Iran’s supreme leader, Ayatollah Ali Khamenei says that Tehran is still at odds with the United States over its policies in the Middle East and that it won’t change its attitude to Washington, even despite a nuclear deal being reached. "Whether the (nuclear) deal is approved or disapproved, we will never stop supporting our friends in the region and the people of Palestine, Yemen, Syria, Iraq, Bahrain and Lebanon. Even after this deal our policy towards the arrogant U.S. will not change," he said, as cited by Reuters. Khamenei made it clear that discussing Iran’s nuclear program with the US should be regarded as an exception to the rule. "We have repeatedly said we don't negotiate with the US on regional or international affairs; not even on bilateral issues. There are some exceptions like the nuclear program that we negotiated with [the] Americans to serve our interests. US policies in the region are diametrically opposed with Iran's policies," the country’s supreme leader added. In his address that marked the end of Muslim holy month of Ramadan, Khamenei also urged the Iranian government to study the deal carefully to make sure national interests are secured. "The Americans say they stopped Iran from acquiring a nuclear weapon. They know it's not true. We had a fatwa (religious ruling), declaring nuclear weapons to be religiously forbidden under Islamic law. It had nothing to do with the nuclear talks," Khamenei mentioned. 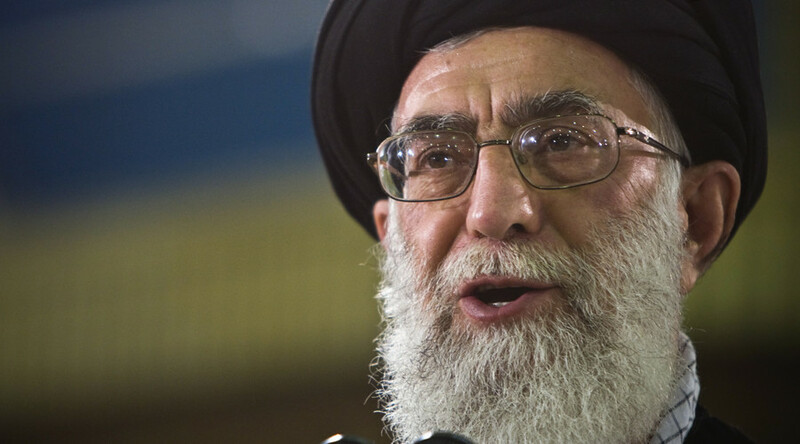 Khamenei’s tough rhetoric aimed at the US came several hours after the White House stated that there are still military options available against Iran. The nuclear deal was agreed on Tuesday, and it stated that sanctions against Iran would be removed step-by-step, if the country accepts long-term curbs on its nuclear program.